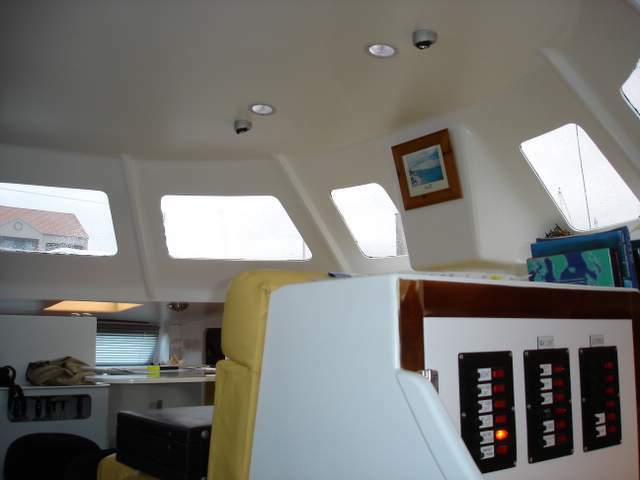 Built 1992 with major overhaul and completely refurbished 2006. As new condition. Designer: Owner's design with Wayne Hill's assistance. WORLDWIDE DELIVERY IS AVAILABLE AT AN ADDITIONAL COST TO YACHT PURCHASE COST. PRICE AND DETAILS TO BE AGREED (PRICE OF YACHT DOES NOT INCLUDE INTERNATIONAL OR NATIONAL DELIVERY). Mintaka San has been turning heads across marinas throughout the world with its pizzazz and luxury. .............One of its kind! 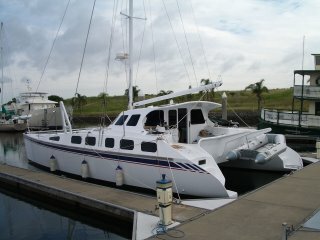 Mintaka San was a life long dream that came alive in 1992 to cruise the oceans. 5 star comfort, luxury, proven reliability and tough, Mintaka San was designed and built to cruise the world. 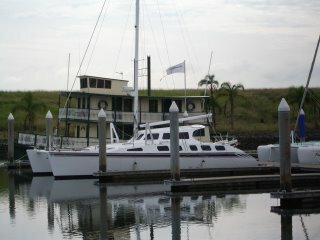 The owners sailed her around the world after cruising Australian waters. Wayne Hill/Windspeed� was contracted to oversee the entire design and construction process with regular inspections over the construction time. 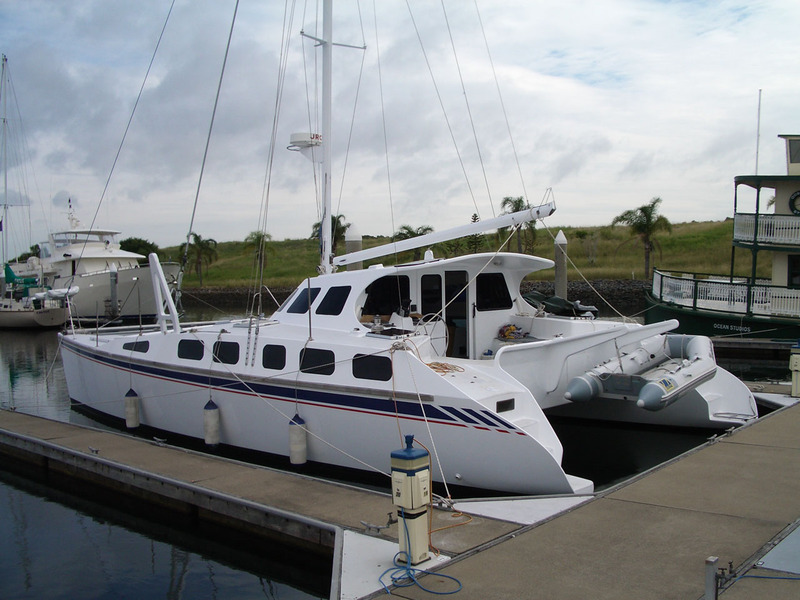 Mintaka San's maiden ocean voyage was from Brisbane to Noumea and return. The voyage over proved Mintaka San and all of her equipment performed faultlessly. 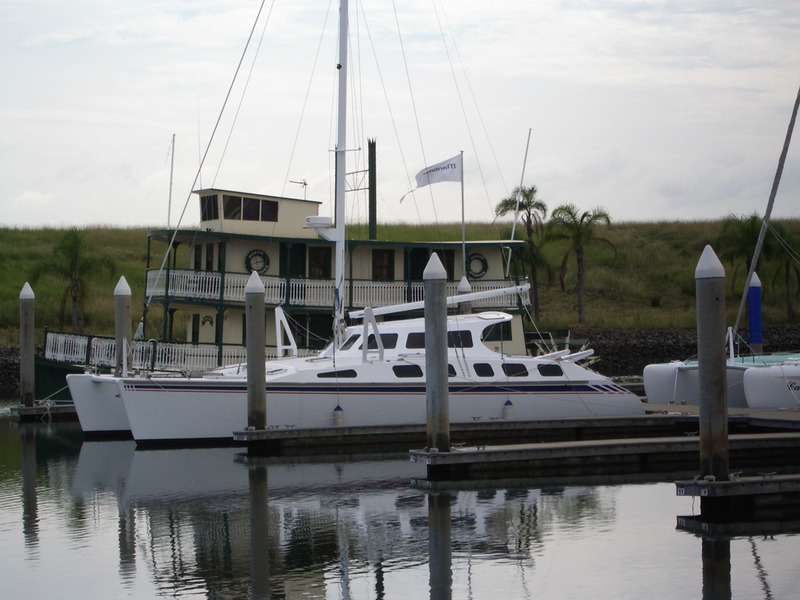 Mintaka San departed from Brisbane and returned 4 years later after an enjoyable circumnavigation. Mintaka San was never overtaken by any cruising monohull, achieving average daily runs of 200 nm with many daily runs of 240 nm. The underwing never suffered excessive pounding and structurally she is very strong. 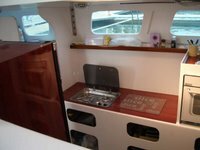 Mintaka San has just undergone a major refit this year (2006) and hosts a whole range of NEW (2006) equipment including fridge, washing machine, electric toilets, stove, oven, steering, two new 21hp diesel inboard engines and includes the latest and best navigation, electrical, sailing and cruising equipment. All equipment is well maintained and proven reliable. Stop dreaming! Live your dreams now! 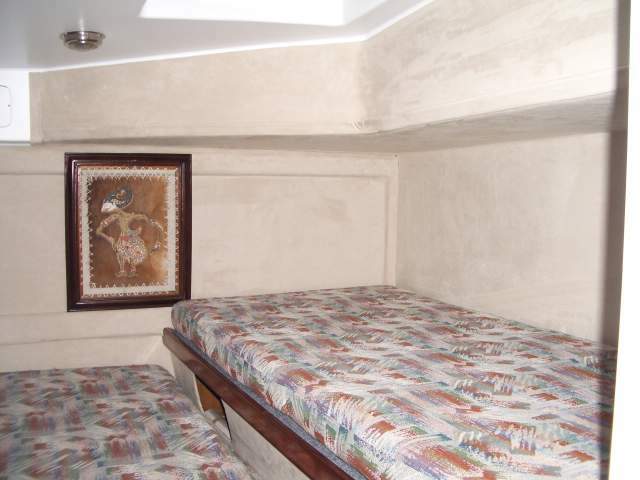 2 x ensuited double stateroom. This exceptional design provides many cabins, comforts and personal privacy areas. 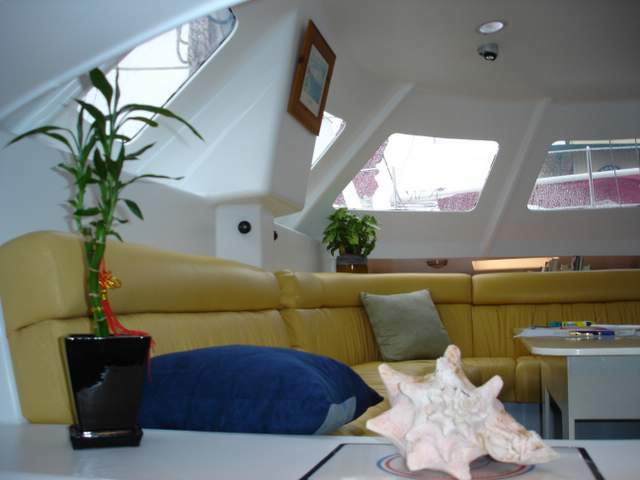 This world cruising sailing yacht, a very enjoyable cruiser. 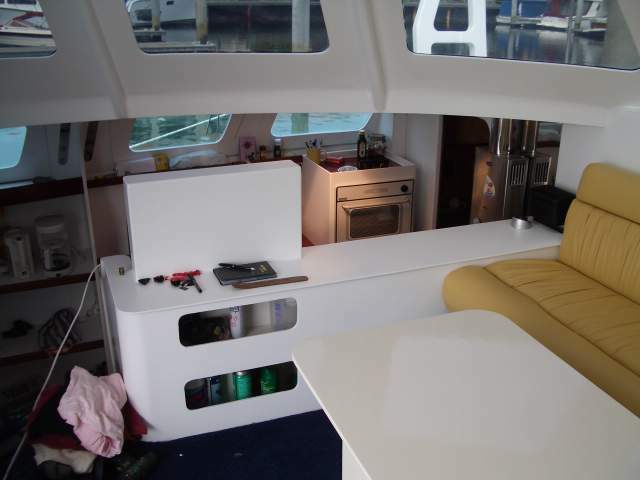 Mintaka San has a fully enclosed bridge deck saloon with beige leather all round sofa seating with all round carpet. 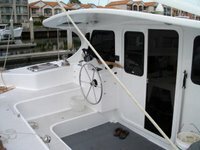 The cockpit caters for outdoor entertaining and allows easy access to the spacious forward deck and swim decks aft. 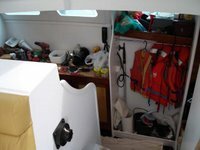 Cold pressure shower conviently located on the aft deck. 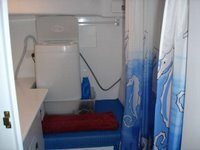 A main bathroom/laundry with fully automatic washing machine, toilet and shower. 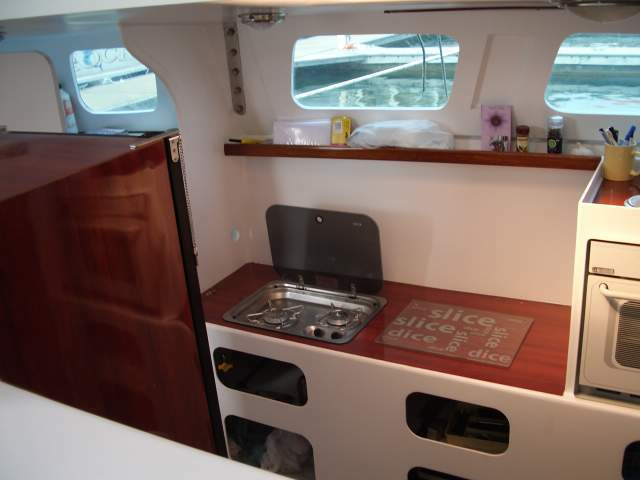 An open plan galley featuring gas stove, separate oven, stainless steel sink, upright fridge easily accessed cupboard storage space and ample bench area. 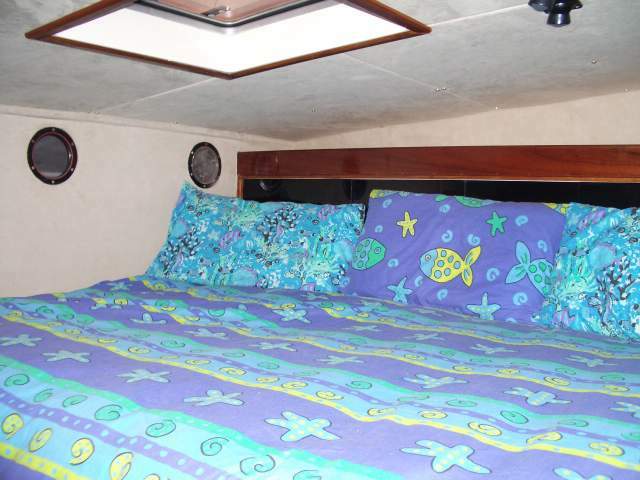 Forward is a large double cabin with a queen size double berth, which allows the use of standard linens and sheets for true live aboard comfort. Features include hanging locker, cupboards and shelf. 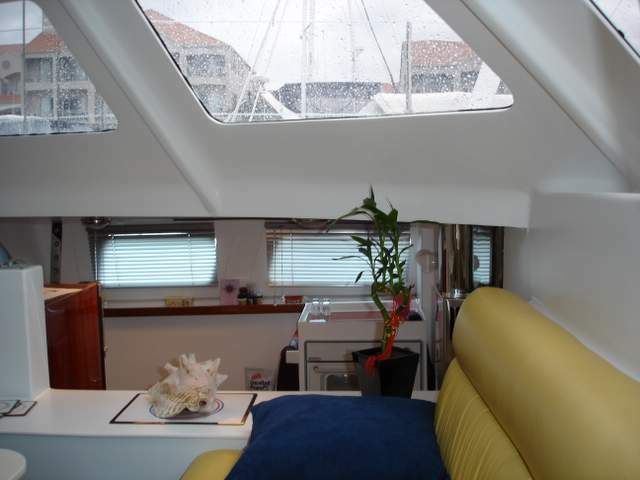 A large hatch and window provide excellent light and ventilation. Forward in the port hull is the ensuite head. 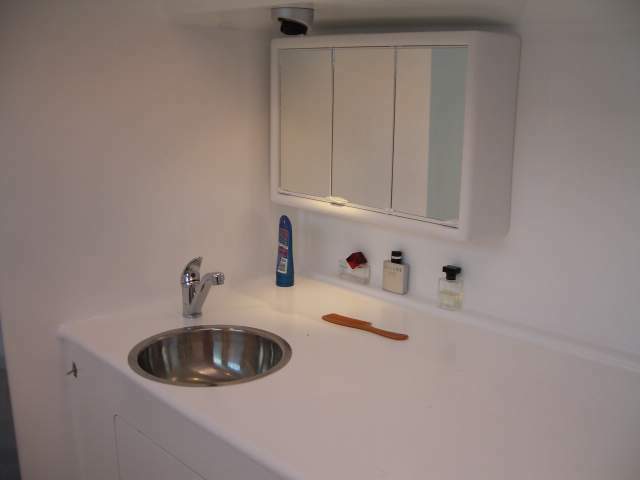 Featuring a wash basin, counter space, a shower, hot and cold pressure water, electric toilet, natural light and ventilation plus a mirror. 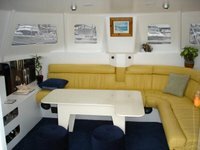 Aft is a cabin with a double bed with sitting headroom. Features include cupboards. 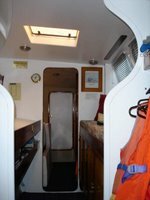 A large hatch and window provide excellent light and ventilation. This cabin is lined with suede and trimmed with gloss varnished red cedar. 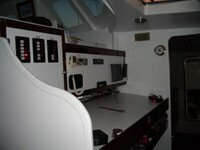 Central is a full sized chart table / fully equipped navigation station / fully equipped communication station. 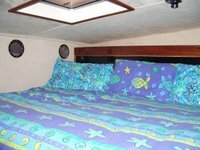 Forward is a large double cabin with a queen size double berth, which allows the use of standard linens and sheets for true live aboard comfort. 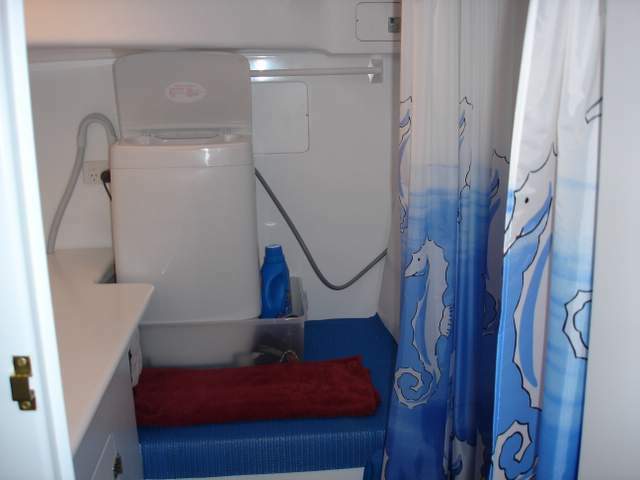 Features include full size hanging wardrobe, cupboards and shelf. 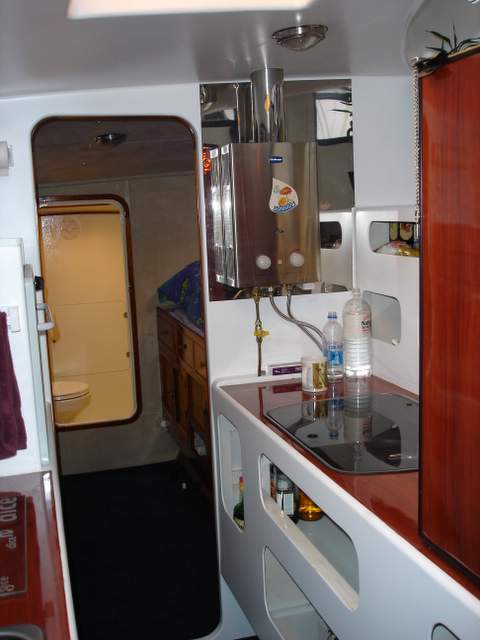 Forward in the starboard hull is the ensuite head. Featuring a wash basin, counter space, a shower, hot and cold pressure water, electric toilet, natural light and ventilation plus a mirror. 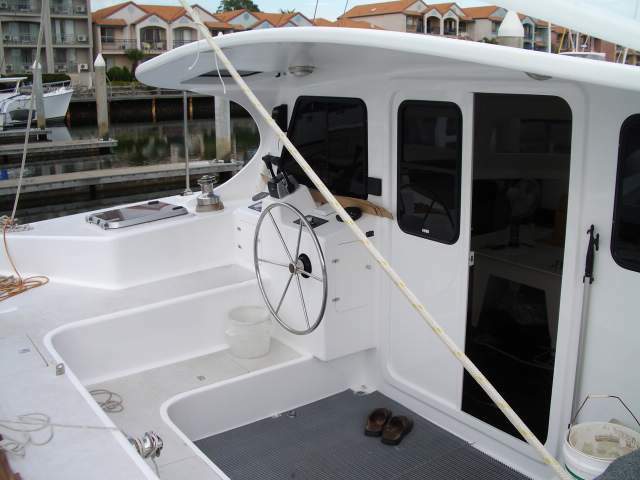 Hull Design An easily driven seaworthy hullshape for performance cruising, featuring daggerboards, low windage open bridge deck and aft swimdecks.Both sails and both bows and sterns can be viewed from the helm position for comfortable sailing and easy manoeuvring.Twin inboards are used for easy manoeuvring. Forward and aft collision bulkheads for safety at sea.5 watertight compartments per hull.Each cabin has 2 means of emergency escape.Aft steps on each hull for easy access from water.The tender is stored clear of the waves on davits. Strip planking, Wood Epoxy Composite & West Epoxy Resin . Fibreglass laminate with Canadian Western red cedar. External 1.2 kg/m triaxial fibreglass. Internal 0.8 kg/m unidirectional fibreglass. Fibreglass laminated with Epoxy resin ensures a long service life for this strong multihull yacht. 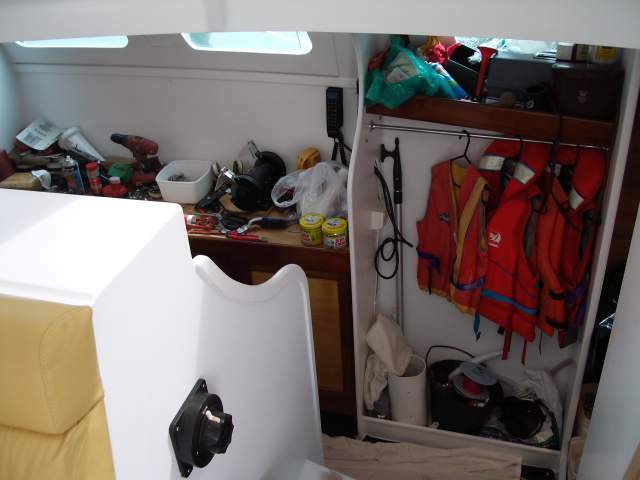 Deck, marine plywood epoxy fibreglass externally.Marine Plywood fitout thoroughly epoxy saturated.Polyurethane topside paint and non skid deck paint new 2006. Mast, fractional rigged aluminium. All Yacht Spars. Main sail, fully battened to reduce sail flogging and improve efficiency.Genoa, fitted to roller furler for easy handling. Genoa fitted to Furlex headsail furler. Mainsail fully battened with 2 reefing points and lazy jacks. Spinnaker Multi colour symmetrical with easy drop sock. Storm Sail / stay sail stored in sail bag. Main Sail Sheet In cockpit. 2 x Anderson 46 Stainless Steel self tailers. 3 x Anderson 28 Stainless Steel self tailers. Balanced rudders with stainless steel rudder shafts. Stainless Steel steering wheel with 1.25 turns lock to lock. Steering Compass Suunto - new 2003. 1x 35 LB Plough anchor. 1 x 52 LB Fob anchor. 100m x 10mm galvanized anchor chain. Silver mooring and anchor ropes. Windows are bonded tinted acrylic 10mm thick. 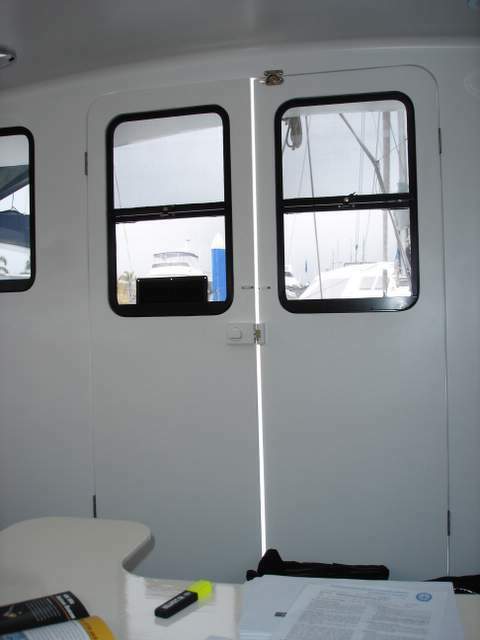 10 x 600mm x 600mm Tight Light aluminium deck hatches. 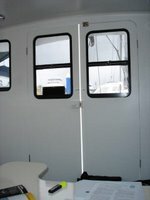 2 X 350mm x 600mm aluminium sliding windows. Hull companion way entrance doors with pad lock security. Battery charger: High tec 25 amp/hr . Inverter: Mastervolt 12 DC to 240 volt AC 600 watts. 12 volt DC circuit breakers. 240 volt AC circuit breakers. Hydraulic Autohelm 6000+ new 2003. Ships computer with C- Map electronic charting. JRC 24 mile picture tube type. 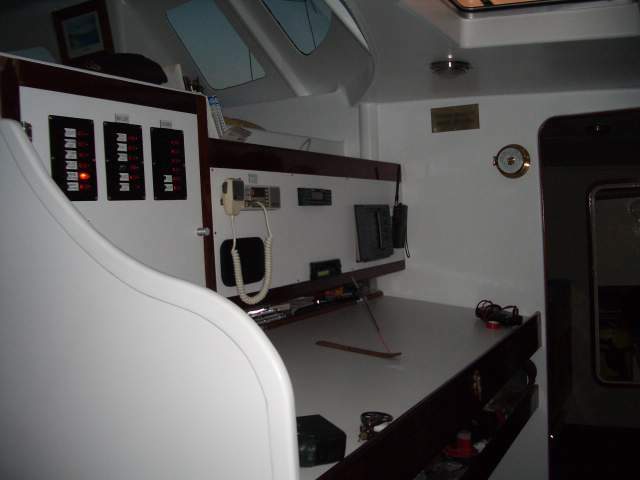 Boat speed, log, depth, wind speed, wind direction - new 2003. Radio Kenwood AM FM CD player with 10 CD stacker and quality speakers. New 2006 Engines twin 21 hp inboard sail drive Nanni Diesel 165 Amps Alternator . 3 bladed fixed propellor and fixed rudders. Voltage, Oil pressure and water temperature alarms. Galley work bench off white laminex approximately 2 m2 area. 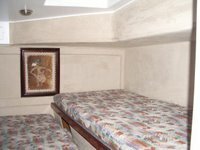 Food storage, draws cupboards and pantry approximately 3 m2 volume. 2 x 300 litre integral water tanks. 1 x 12 Volt fresh water pump. 1 x salt water pump. Paper then Ultra Violet then Carbon filtered drinking water purifier. Dinghy anchor and safety equipment. You are invited to inspect Mintaka San at the Gold Coast, Queensland Australia.